Quarter a fresh pineapple lengthwise, remove core, cut into 1cm slices, and cut along shell to separate the slices. Keeping the slices on top of the shell, place the quarters shell side down on a preheated barbecue. Grill on MEDIUM (150°c) for 15 minutes, or until heated through. 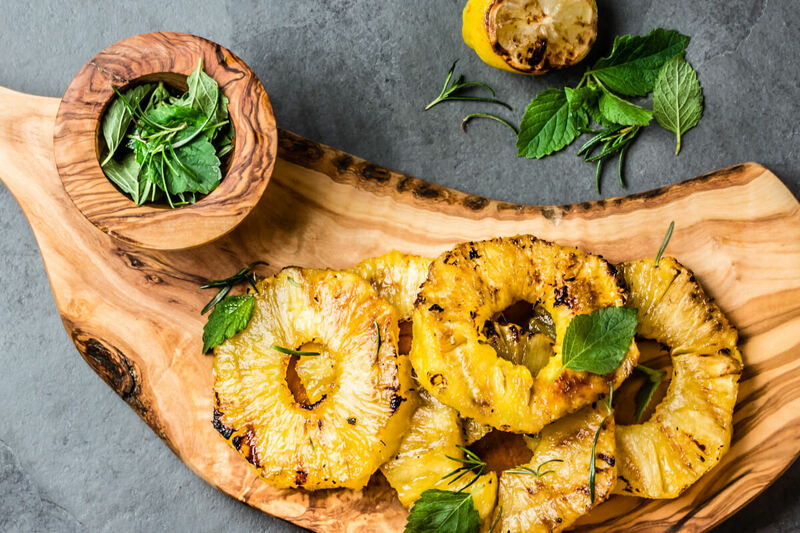 Combine the remaining ingredients in a small bowl, and baste the pineapple with this mixture every 5 minutes. See here for an example picture.